Get your finances in order with help from one of the many financial services and institutions in Albany NY. Below, you'll find banks, credit unions, loan officers, accountants, and other finance-related professionals who can help you with your financial needs. Teal, Becker & Chiaramonte, CPAs, P.C. (TBC) is a full service accounting and advisory firm located in Albany, NY. Edward Jones Investments - Northern Blvd. Since 1974, Fenimore has provided a long-term, consistent and understandable investment approach offering separately managed portfolios and mutual funds. Fenimore Asset Management & FAM Funds --- trusted for generations. 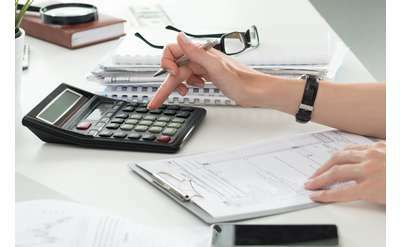 Offering all typical CPA services, such as tax and financial statement preparation, as well as banking relations, retirement and personal financial planning, business succession and estate planning, and representation before taxing authorities. Located in the Wise Building a block from downtown Saratoga Springs, our office of finanical advisors are there to answer all your questions and concerns on your personal financial goals and insurance protection. Saratoga National Bank and Trust Company combines big-bank product selection with small-bank service and personal attention. Michael A. Tobin & Associates, C.P.A. 's, P.C. Since 1945, Staff Ciampino & Company, CPAs, P.C. has been the Capital Region's premier accounting and business consulting firm. Tax planning, tax preparation, accounting, consulting and more, Staff Ciampino can deliver results for your business. NBT Bank offers personal banking, asset management and business services through a network of over 155 banking locations in New York, Pennsylvania, Massachusetts, New Hampshire and Vermont. The Meier Law Firm concentrates in the areas of estate planning and administration as well as elder law and real estate law, serving clients and their families throughout the Albany, Schenectady and Saratoga areas. Nationally recognized Estate Planning & Elder Law Firm serving clients throughout the Capital Region. The firm focuses on Wills, Trusts & Estates, Probate, Medicaid, Estate & Tax Planning, Business Succession and Special Needs Planning. Scott, Stackrow & Co., CPAs, P.C. New York Long-Term Care Brokers Ltd.
New York Long-Term Care Brokers is an independent, nationally recognized brokerage firm specializing in Long-Term Care, Life and Disability Insurance consulting and sales for individuals, employer sponsored groups and professional associations. Milliman is among the world's largest providers of actuarial and related products and services, consulting to the full spectrum of business, governmental, and financial organizations. At Sunmark Federal Credit Union's Latham location, you'll find experts who can help you with all of your financial needs, including new accounts, loan applications, and even notary services. Charter One, a $33 billion financial services company, provides Consumer and Business Banking, Commercial Banking, Leasing, Commercial Real Estate services throughout six northeastern and central states. With offices in Albany, Saratoga Springs, Johnstown and Lake Placid, Janney Montgomery Scott, can service any of your financial needs from investments to insurance, annuities to financial planning, call your local Janney Financial Advisor today. At CAP COM Federal Credit Union's Financial Center in Albany NY, you can apply for a home equity loan and take advantage of other financial services. Wells Fargo Advisors in Saratoga Springs can help you as you consider the next step in your financial life, whether it's taking out a college loan, buying or refinancing a house, or beginning retirement. We are proud to serve more than 20 million clients each year. We are dedicated to providing you the best tax information, service and care possible! Moved? Had a Kid? Got a new job? A crazy year can mean a lot when it comes to taxes. Full-service trade association committed to serving the needs of merchants and related professionals. We offer credit card processing, advocacy, NYS Workers' Compensation, NY Statutory Disability and other insurance services and valuable incentives. At Wojeski & Company CPAs our success is defined by our clients' success. We develop strong partnerships where we advise and support our clients; positioning them for growth and success. Local, trusted, community bank serving the Capital Region with competitive personal and business banking products, services and loans. We're small enough to care, yet big enough to get you there! 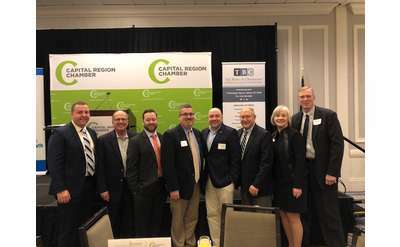 Community Loan Fund of the Capital Region, Inc.